Over the next decade, Chinese outbound tourism is expected to remain the largest travelling force around the world, totaling about $255 billion spent abroad. This chart shows the forecast top world’s travel expenses through 2025. Oxford economics studies mostly focused on abroad spending by households with income above $20,000 utilizing Visa credit card payment, including also spending on plane tickets. Figures vary a bit according to the source. If we are to believe London nonprofit World Travels and Tourism Council (WTTC) figures from March 2016, Chinese tourist spent over $215 billion overseas in 2015. Reports from China Luxury Advisors and Fung Business Intelligence Centre show that Chinese tourists actually spent over $229 billion and will reach about $422 billion through 2020. These figures clearly indicate that China will contribute the most to the rising travelling trend around the world. The ascending middle-class around the world may account for up to 45% of the $1.5 trillion that will be spent abroad by 2025. 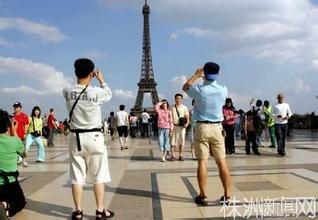 The Chinese outbound tourists number is expected to reach over 242 million by 2024, according to HSBC. Oxford Economics research show that the increasing availability of destinations and direct flights between Chinese cities and foreign lands will be a major factor in this growth of global tourism spending. Furthermore, the tourists are getting more internet savvier than their elders so the online platforms will shift up as well, giving customers the access to more traveler reviews. 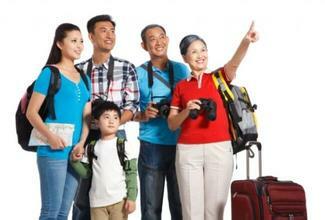 The travel industry should also witness a new trend of tourism. With the growing number of old people around the world, medical tourism will become the new trend, especially for the people over 65. Mistrust of doctors in China and the increasing demand for plastic surgery and “maternity tourism’ from Chinese citizens will reshape the tourism in the few coming years. The favored destinations for such will most likely remain the same as today, South Korea, Japan, Europe and the U.S. On the other hand, reports also show the possibility of risks for Chinese travel, even though China’s economy has not been performing as intended recently, as the China’s stock market has lost over a third of its value. 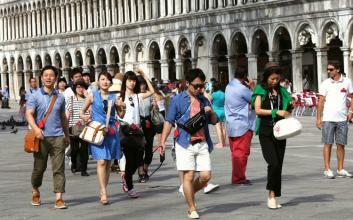 This drop may affect Chinese tourist likeliness to travel abroad. In addition the Chinese yuan recent devaluation might also lead Chinese tourist to think twice before traveling. The report provide us with the insight that, even though the current Chinese economic is in turmoil, China will be able to cope with this drop, whereas the Brazil and Russian counterparts will not as they witness decreasing travel spending.